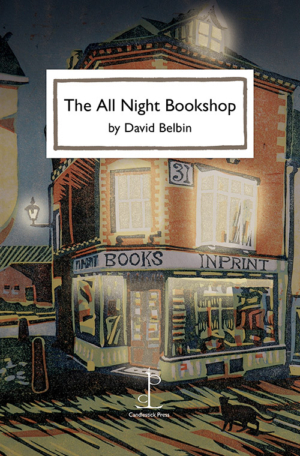 The ingredients of David Belbin’s intriguing tale take us into a shadowy world that seems to exist somewhere between reality and dream. The mysteries deepen as the story unfolds and then there is also love, never spoken or acknowledged, but somehow amplified amid the hushed aisles and dusty shelves. This is a story for all those who love books and bookshops – or indeed for anyone who simply enjoys a good old-fashioned yarn. David Belbin is the author of The Pretender, Bone and Cane and numerous novels for young adults. His short stories have appeared in many magazines and anthologies. More can be found in Provenance: New and Collected Stories from Shoestring Press. Includes poems by Jim Burns and Jackie Kay. Cover illustration by Steven Hubbard. A seasonal story with extra shivers. A seasonal story from America that glows with simple beauty. A nature walk into a beautiful winter woodland. Gillian Clarke’s The Christmas Wren is a miniature masterpiece. Written for adults and children, it is a magical tale of the Christmases of a Welsh childhood.